I thought of doing more, but for now, for Lata’s 81st, I decided to post her first major solo song in a Hindi/Urdu film, because this is also a song that is running through my head. 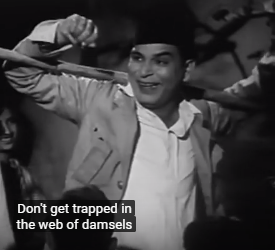 (I guess I’ve been in something of a Ghulam Haider mood lately…) The clip (i.e, the info written on the screen for this audio clip) claims that this was her first Hindi/Urdu film song, but that isn’t true, because “Pa Lagu Car” came before. But I would assume that this one, her second, was her first fairly well known song, and deservedly so. This is a nice one! Music is by Ghulam Haider. P.P.S. 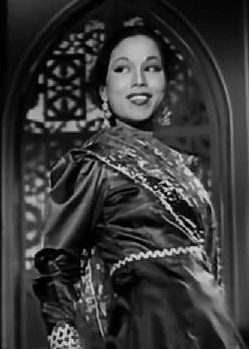 1945 and 1946 were golden years for Rehana. I started looking at dances with her from these years after a blog conversation at Vidur’s “Bollywood Fun” blog about her appearance in Zeenat (1945), and the next day, I saw that Nivedita was starting to post some songs from Hum Ek Hain (1946), the film in which Rehana got her first major role. Sometime soon, I will probably do a post on some songs found at the end of her film career, in the early ’60s (which I like almost as much!). Thooku Thooki was a folk tale that had originally been made into a movie in 1935. There is a nice article published recently in The Hindu, written by Randor Guy, that tells some detail about that tale and the two films. Anyway, since I’m not going to do a separate post for this sad occasion,… I will just mention that I know today is the fourth death anniversary of the late, great Padmini, who lived from June 12, 1932 to September 24, 2006. There’s also a nice article at Upperstall, and it contains a picture that I now see in the middle of my “desktop” every time I turn on my laptop. Over on my side bar, one of the links I have listed is Moments of Tranquility. It’s a pretty eclectic blog, and it’s probably the least specifically cinema- and/or music-related link that’s up there now. 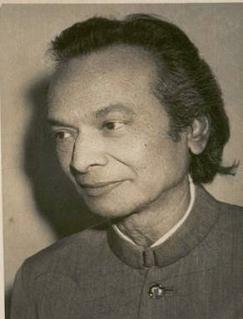 But the post that convinced me to include it is the one on the collaboration between Noor Jehan and Khurshid Anwar. Anyway, in celebration of Madam’s birthday, I hope that people will go to at least a few of the links that I’ve mentioned today, in order to experience a whole lot of the beautiful sounds, sights, and lore of the one and only Madam Noor Jehan! P.P.S. [Note close to seven years later]: I’ve had to cut this post a bit because of links that were taken down/removed and one that seemed to have become unsafe. But I think there’s still a good amount of stuff to link to here (right?). Get Ready for the Next “Bollywood Birthday” Post, Sep. 21!